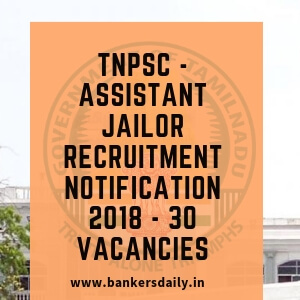 TNPSC (Tamil Nadu Public Service Commission) has released the recruitment notification for the post of Assistant Jailor (Both Men & Women) 2018. The total number of vacancies available for the post of Assistant Jailor (Men & Women) is 30. Recently, TNFUSRC has also released the notification for the post of Forester, Forest Guard & Forest Guard with Driving License for a total of 1178 vacancies. After this notification, this Assistant Jailor notification is released. The written examination for this Exam will happen in the starting month of 2019. The salary & pay scale for the Assistant Jailor 2018 recruitment is Level 11. The Salary mentioned in Recruitment notification of the Assistant Jailor 2018 is Rs.35,400 – Rs.1,12,400. Paper – I 06.01.2019 10.00 A.M. to 1.00 P.M.
Paper – II (General Studies) 2.30 P.M. to 5.30 P.M. Please note that there is a full fee exemption to certain categories. Scheduled Castes/ Scheduled Castes (Arunthathiyar) and Scheduled Tribes & Differently Abled Persons, Destitute Widows of all Communities are exempted from paying the fees for the exams. The age limit will be considered as on 1st July 2018. A degree of any of the Universities recognized by the University Grants Commission. This is applicable for both the posts of Assistant Jailor (Men) and Assistant Jailor (Women). (i) The educational qualification prescribed for this post should have been obtained by passing the required Qualification in the order of studies SSLC + HSC or its equivalent + U.G. degree (Results of the examination should have been declared on or before the date of Notification). 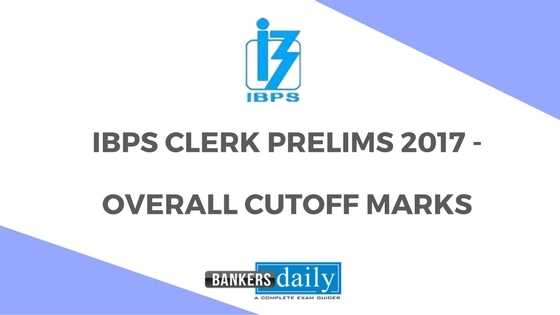 (i) The applicants who have not appeared for any of the papers in the Main Written Examination or Oral Test will not be considered for further selection process even if they secure the minimum qualifying marks for selection. 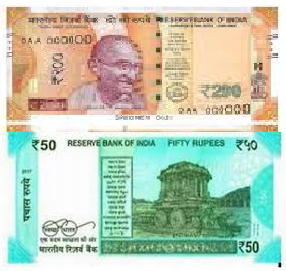 (ii) In respect of Paper-I, the questions will be set both in Tamil and in English. In respect of Paper-II, the questions on General Studies and Aptitude & Mental Ability Test will be set both in English and in Tamil and the questions on General Tamil and General English will be set in the respective language. Selection will be made in two successive stages. 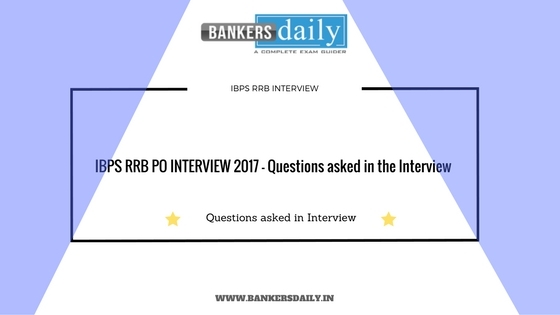 Test in the shape of an interview. Applicants appearance in the Written Examination and Oral Test is compulsory. 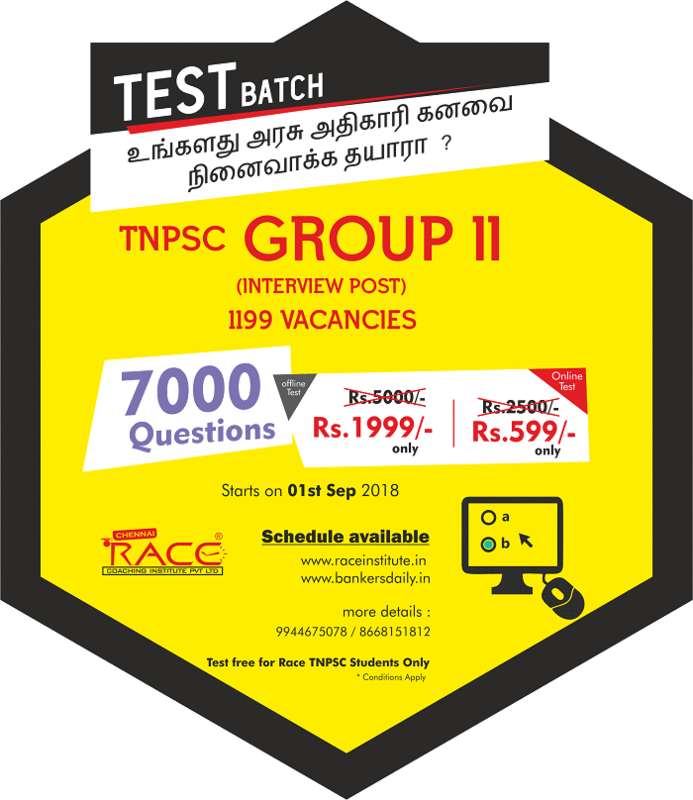 Aspirants can apply for the post of TNPSC – Assistant Jailor Recruitment 2018 from the link that is provided below.